I am charged with driving with a suspended license, speeding, and DWI in Larchmont Village Court? This is my second DWI in 10 years. What are my options? There is a very good chance that you will be charged with a felony DWI. This is probably your mos serious charge. However, your AUO can be either a misdemeanor or felony. Depending on your rate of speed, you can also be sentenced to jail for speeding. You should call our attorneys at 914-723-7900 and set up your confidential consultation. Court Description: The Larchmont Village Court is located in the heart of downtown. It is across the street from the fire department and conveniently located along the sound shore. It has jurisdiction over all misdemeanor matters including Tampering with a consumer product in the second degree under PL 145.40, Tampering with a juror in the first degree under PL 215.25, Tampering with a sports contest in the second degree under PL 180.50, Tampering with a witness in the fourth degree under PL 215.10, and Tampering with public records in the second degree under PL 175.20. Local Information: Larchmont is a village within the Town of Mamaroneck. This is the home town of Jackie Onassis. It has a population of roughly 6,500. In 2005, Money Magazine listed it as one of the Top 100 places to live in the United States. 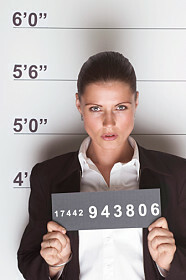 You are facing serious charges that can life long consequences. You retain this firm to help protect your interests. I was charged with DWI in NY 11 years ago but I was convicted 9 years ago. Can they charge me with a felony? The controlling date is the date of your plea. As such, if you were convicted of a DWI 10 years ago, the prosecution will have the option of charging you with a felony.